This historic photo shows homes in Lauren Weatherly’s Northglenn neighborhood included the classic midcentury roofs and architecture. Lauren Weatherly and her husband, Bryan, smiling for a photo in their Colorado home for an article published in the Northglenn/Thorton Sentinel. Photo by Amy Thomson. Lauren was able to track down some photos of the original look of her midcentury home. Not many people get the opportunity to see the original vision for their decades-old home. The original architects of the Deza Estates neighborhood took advantage of the open scenery surrounding the community. The windows were built to focus on the view of the Rocky Mountains. Her passion to get involved in her community fueled her curiosity to meet new people and learn more about her neighborhood. Two years ago she joined the Northglenn Historic Preservation Commission, which really kickstarted her research. Through the people she met at the commission, she was able to learn more about the community and the people who made it what it is today. Her involvement “set off a ripple effect to connect with other people that are interested,” she says. 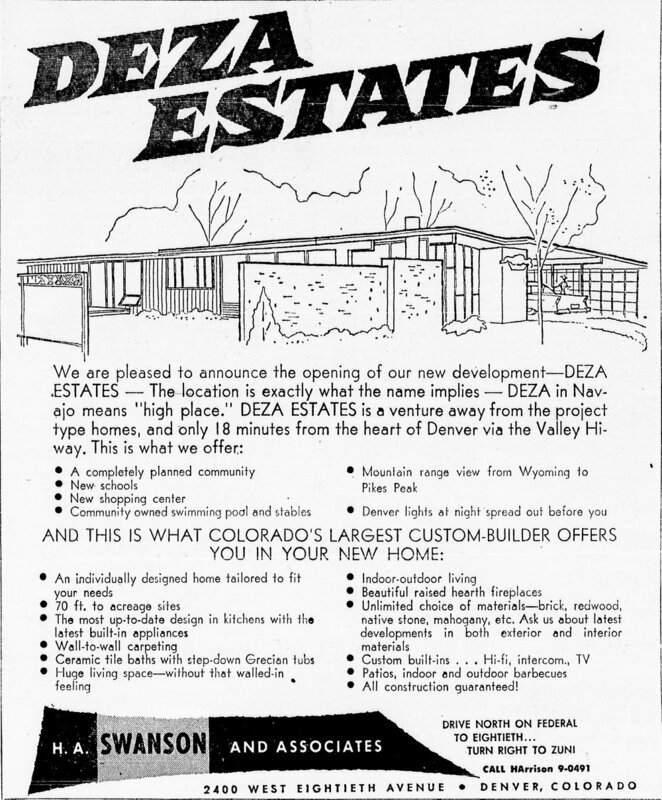 This is the original advertisement for the Deza Estates neighborhood in Northglenn, Colorado that was in the Denver Post in 1956.